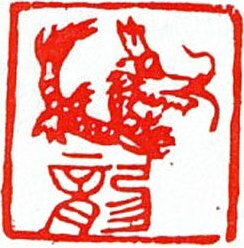 PERPETUAL FOLLY: Year of the Dragon! Happy New Year! Actually, the new year begins January 23, but since President Obama has already released his Lunar New Year Message, I guess I can, too. People under the sign of the dragon are lively, energetic and fortunate. They often can be leaders and try to go for perfection. When they meet with difficulties, they are not discouraged. But they are a little arrogant, and impatient, and women are over- confident. If they overcome these defects, they can have a brighter future.